How do satellites track desertification ? Satellite images have been collected since 50 years. Comparing actual images to historical data allow us to see the development and advancement of desertification. This is how scientists use remote sensing data to monitor the progress of desertification. 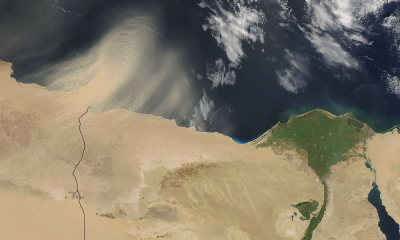 Dust storm in Northern Africa as seen by MODIS onboard Aqua (01/03/05). 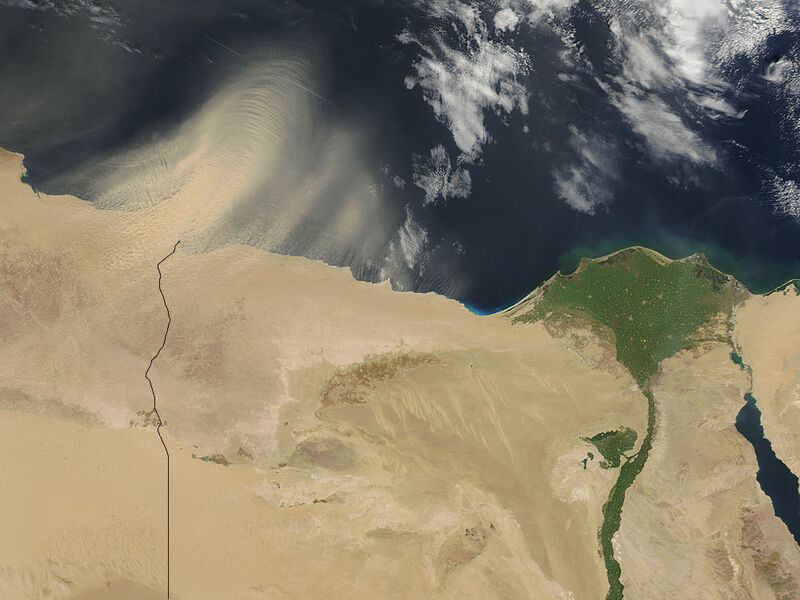 The Nile delta is well visible on the right.